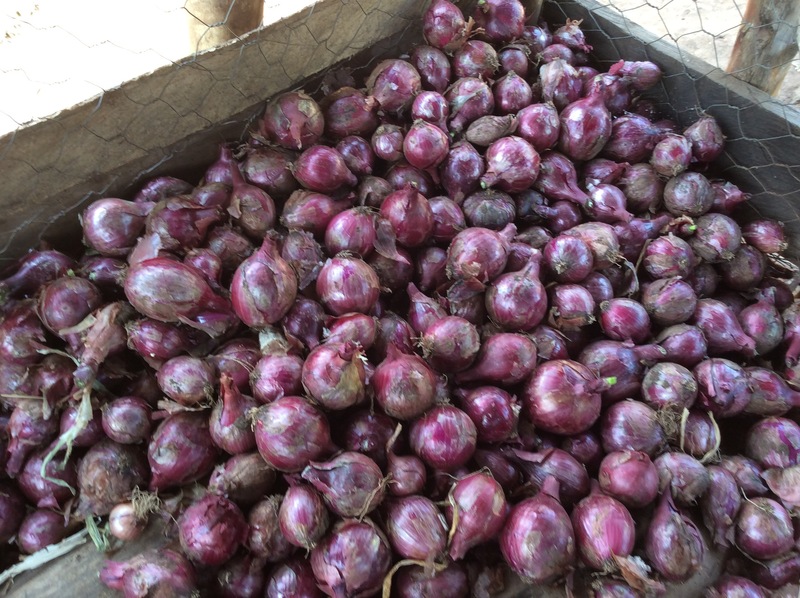 There is a new Onion variety that is taking the Kenyan market by storm. Mata Hari F1, a variety from Bayer CropScience is high yielding with upto 30T per acre. It has a deep red colour that which consumers prefer. This variety matures in 100 days after transplanting. The world we leave in is becoming more complex and thinkers say it’s becoming more uncertain. Let’s discuss about some key topics related to youth (the future leaders) and agriculture (a key sector for the development of Africa) during the next three weeks. Is climate real ? Is it having impact around you? in your life? Famine and malnutrition are killing every day in Africa, how can you increase production and improve food security on the continent? 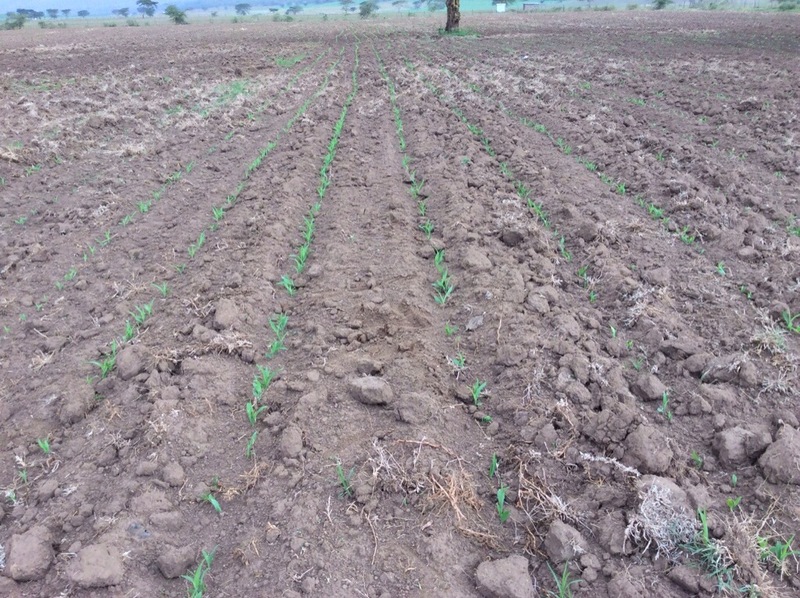 Have you heard about Climate Smart Agriculture? Can you, as a young actor, make a difference in Agricultural practices today? What decisions and actions must be taken for future generation? Let’s debate these topics. The e-discussion is running from 23rd of September to the 15th of October 2014. Enjoy the discussion and let your voice be heard by others! Celery is a bi-annual herb with fleshy root and spindle-shaped root. Celery stalk is branched and reaches a height of 40 to 80 cm. The leaves are dark green and glossy. Celery stimulates metabolism in the body. It is rich in essential oils, vitamins and minerals. Celery root contains essential oil, sugar, asparagine, tyrosine, Colin, pentosan and fat. Sweet thick celery root is commonly used for making salads, stews or as a spice for soups and stews. Celery leaves have a strong aromatic smell, and they are also used as a spice. Celery retains its distinctive smell after drying. It’s leaves and roots have the same nutritional value, so usually both parts of the plant are used. 100 grams of celery (leaves and root) have small enegry value – 14 kcal / 59 kJ, including : 0.69 % protein, 2.97 % carbohydrates, and 0.17 % fat. Celery is an excellent source of vitamin K (29.3 μg, which provides 29 % of the recommended daily intake), fiber, vitamins and minerals. Celery mostly contains vitamin C, then all B vitamins, carotene and vitamins K and E.
It has high nutritional value because of the mineral wealth it contains: 100 grams of celery contain sodium (98 milligrams), calcium (55 mg), magnesium (25 mg), potassium (291 milligrams) and phosphorus (40 mg). Celery is considered to be very healthy and healing herb, because of the many nutrients and healthy substances it contains. Celery root and seeds are used to treat mild forms of anxiety and stress, fatigue, cough, loss of appetite. It is often used to treat indigestion and diseases of stomach and intestines. Celery is also beneficial for patients diagnosed with diabetes. Celery has a mild diuretic effect, similar to parsley. Thanks to its diuretic effect, celery can be used in treating: rheumatism, gout, arthritis, kidney and bladder sand and stones, urinary tract infections, cellulite and excessive body weight, asthma, lung inflammation, and nerve diseases . Celery provides prevention against these diseases so it should be consumed frequently. Since it stimulates kidney function and helps the body flush out excess fluid, celery is good for treating some swellings, caused by cardiovascular diseases. Celery removes toxins from the body, helps controlling high blood pressure, acts favorably in liver and gallbladder diseases and helps regulating blood sugar levels, which are the main reason why it is recommended for diabetics. Celery cleans teeth from bacteria. Celery is a natural body cleanser and is usually used for body detox. Boil 40 grams of celery leaves in one liter of water for a few minutes. Cover the tea until it cools. Strain celery tea and drink it warm, several times a day, in a period of few weeks. People suffering from certain kidney disease should drink fresh celery leaves juice, and you can also add some honey to sweeten celery juice. 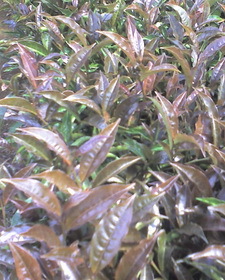 Farmers have been asking me about purple tea and whether they should plant it or not. Well here is all you need to know about this variety. Purple Tea of Kenya is a very rare tea that is sourced directly from small scale farmers. It has sweet woodsy notes with a pleasant lingering astringency. The new purple variety has higher medicinal properties than green and black tea and its seeds produce oil suitable for cooking, cosmetics and the pharmaceutical industries. The variety was released in 2011 by Tea Research Foundation of Kenya after 25 Years of extensive research work. √ suitable for mechanised harvesting. √ Yield about 50 percent more and enhance profitability on better quality. √ Fetches 4 times more in prices than ordinary Tea. √ Wide adaptability and suitable for all designated tea growing regions and soils. √Needs a separate processing unit installed. √.Purple Tea market is not well established and there needs to be a lot of marketing on this product.3. What is Special about Purple Tea? Why is it expensive? √ The most special attribute of this variety is HEALTH ENHANCING found in Anthocyanin (purple pigmentation). This is an antioxidant that helps protect your heart health and boost CANCER particularly breast Cancer. .
√ Anthocyanins are also widely used as preservatives especially in the food industry. √ This variety is also used in Manufacture of instant teas, Ready To Drink (RTD) tea, and other fast moving consumer goods such as health care products, foods and confectioneries. Can Farmers for for purple tea? The decision rests with the farmer. A processor is being set up in Nandi county and it will take time for it to be completed. For those planting now, it means that if the crop matures early you will harvest with the normal black tea and sell at normal price till such a time that the processor is ready. I farmers not to uproot the black tea in the farms but do a progressive shift because even if the processor is fully operational the challenge will be getting the right quantity for processing. 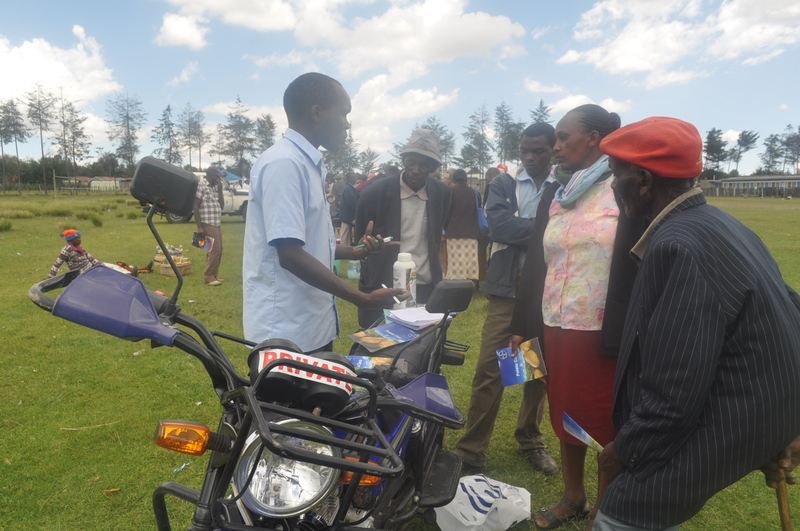 Yesterday I celebrated Word food day by training farmers in Nyandarua County. 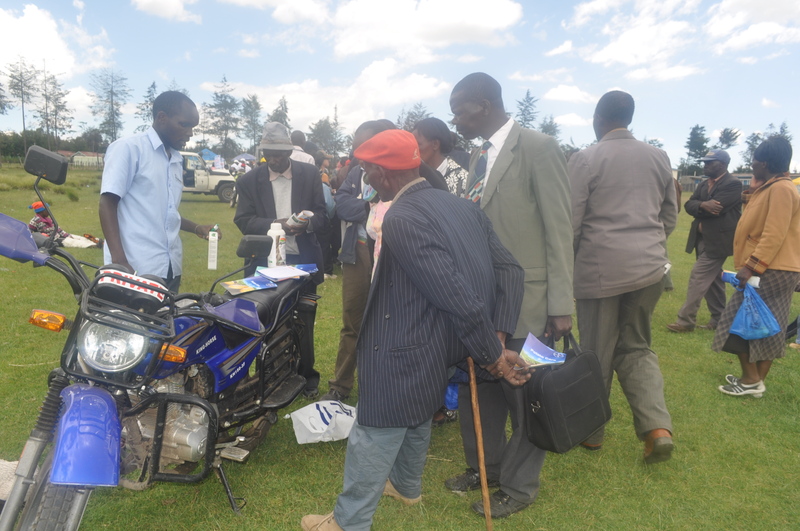 The event was held at Engineer stadium and it was organized by the Ministry of Agriculture in the Region. The Guest of honor was Hon. Daniel Waithaka Mwangi, the area Governor. 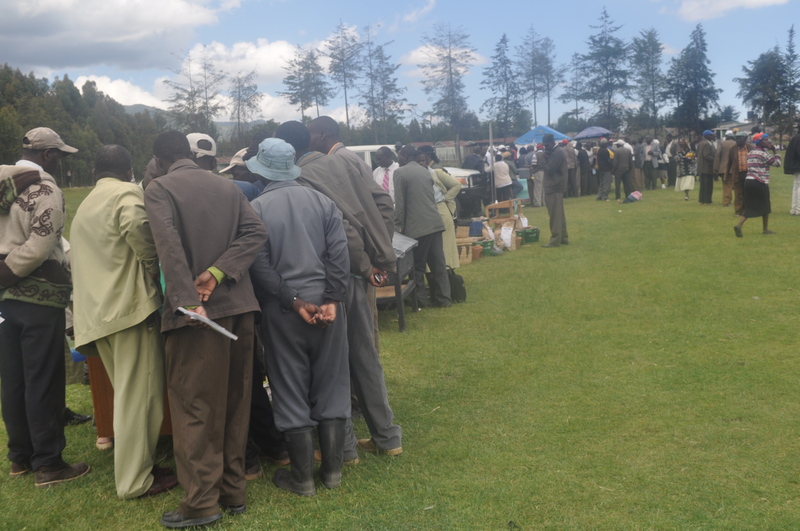 I used this opportunity to train farmers on potato management practices. 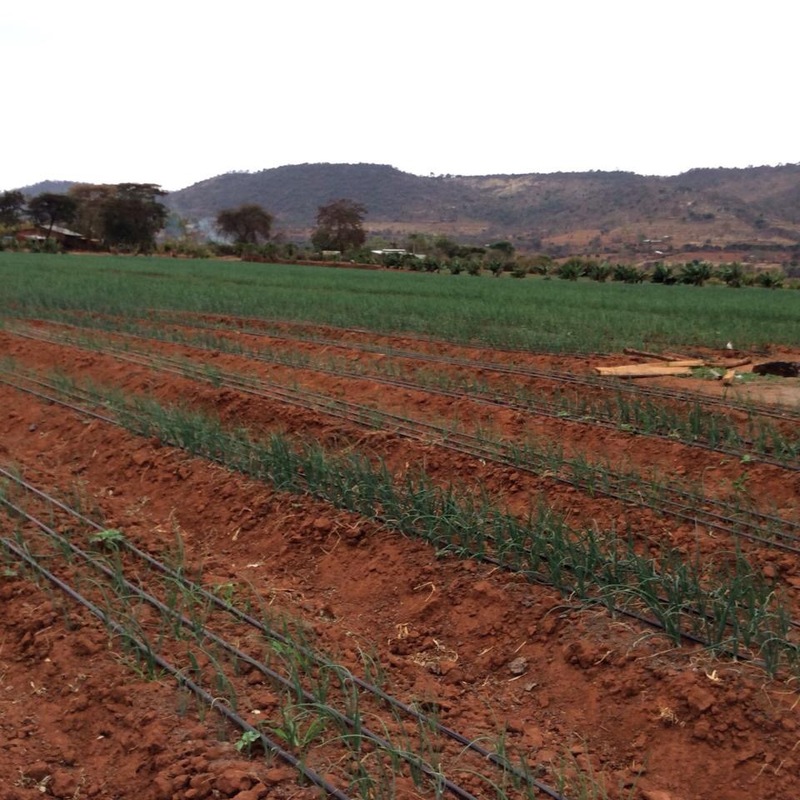 Nyandarua County is a high potential area in terms of horticulture and most of the small scale farmers grow brassicas,pototoes and snow peas. 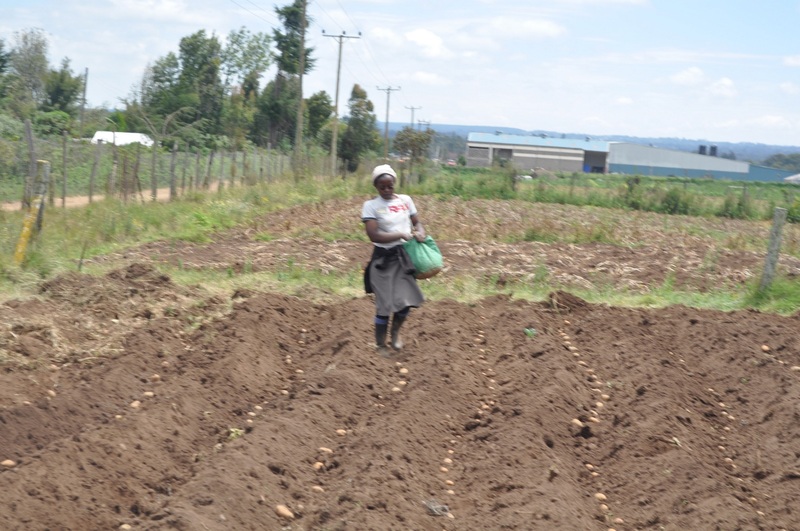 With the recent efforts by the government to upgrade the status of potato as a strategic crop, most farmers are now taking a big interest on potato farming. Potato is the second most important food crop in Kenya after maize. 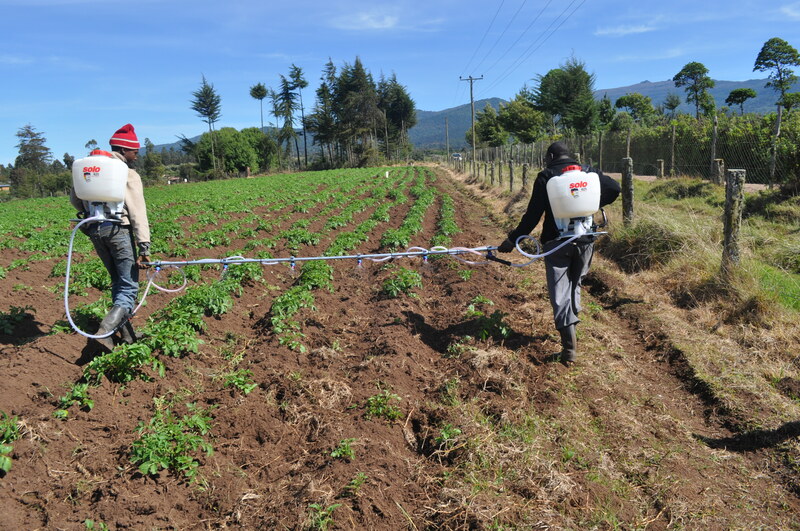 It is also an important source of revenue, employing more than 2.5 million people in potato farming activities across the entire production chain. 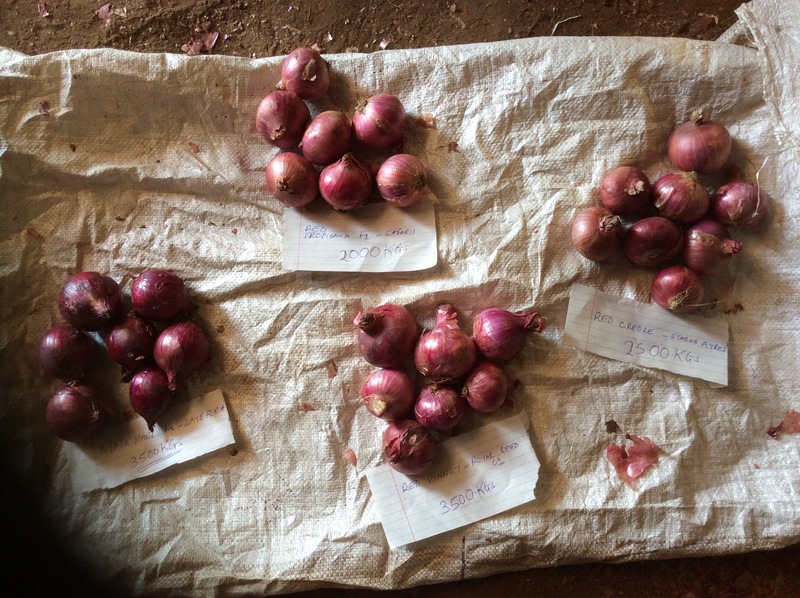 The quality of potatoes produced in Kenya do not meet market demands and this has been attributed to a number of factors, including low quality seeds and poor management practices. This has resulted to high end buyers importing the produce from South africa and Egypt. I used this opportunity to train farmers on the importance of using good quality seed and how to manage their crops. I also gave them the spray program and explain to them the kind of products to use.